This leather and fabric handbag is the perfect project for those who are starting to sew with leather and for those that are bored with fabric only handbags. 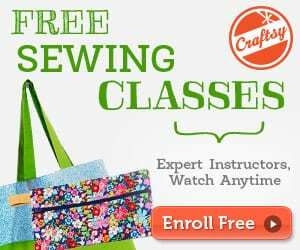 The tutorial is over at So Sew Easy and the pattern is available for FREE below. Please sign up to our FREE weekly mailing to see the download button. I am not an expert in leather work. But, I love the material for its durability and handling. Furthermore, the shine of the lather will forgive a mistake should you require to unpick a seam, so I suggest to buy a whole hide and not to be afraid of trying. In the months ahead we will be exploring the many possibilities of the leather work, so we will be using all the scraps. 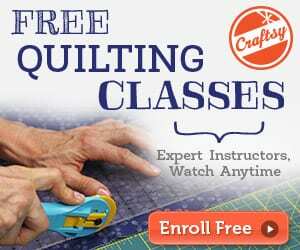 I will be sharing with you easy tutorials that can be made at home without the need of an industrial machine. Skill level: This project suits someone with advanced beginner to intermediate skills. If you have made another handbag from our website, you will find this project very easy. 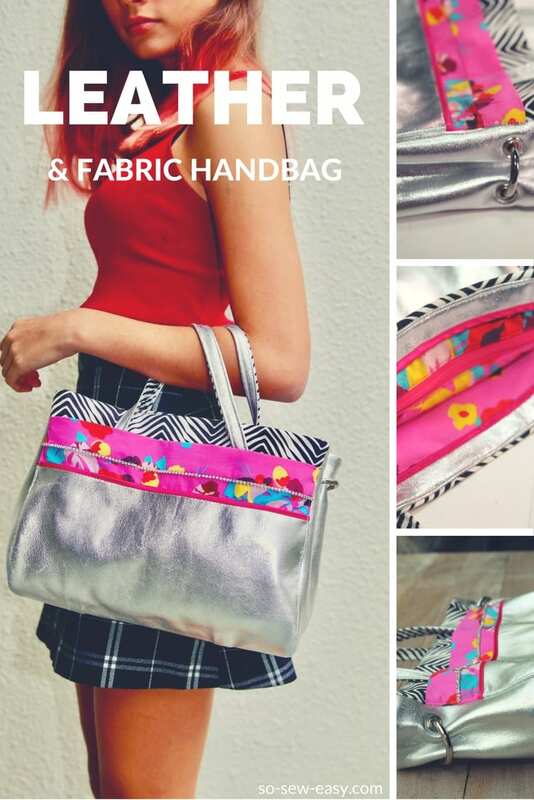 Key Features: Two outside pockets; One inside pocket for your wallet; RFID lining optional; Easy to make; Small handbag but big enough to carry an iPad; Crossbody bag option; Soft leather; Makes a great gift.